Sangay set to be Tibet's political leader Jump to media player Tibetans in exile have elected a new political leader. A formal announcement is due to be made on Wednesday, but Lobsang Sangay is expected to be the winner. 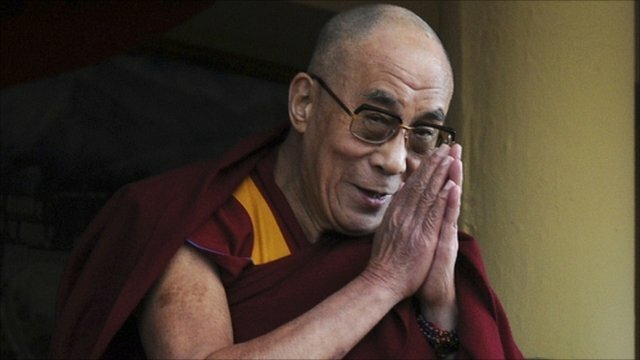 Dalai Lama to devolve political role Jump to media player Tibet's exiled spiritual leader, the Dalai Lama, has announced a long-awaited plan to devolve his political responsibilities to an elected figure. Tibetans in exile have elected a new political leader. It is expected that the winner to be announced on Wednesday will be Lobsang Sangay, an academic who has spent the past 15 years at Harvard University. 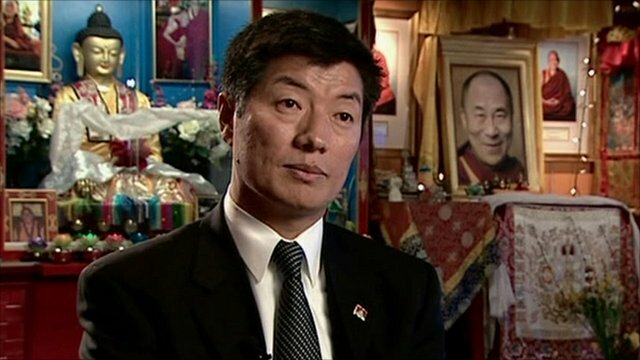 Mr Sangay spoke to the BBC's Adam Brookes at the Kurukulla Buddhist Center in Medford, Massachussetts, about his hopes for a "genuine autonomy" for Tibet within the framework of the Chinese constitution.